How Much Can Abbott’s Stock Move In 2018? 2017 was a good year for Abbott (NYSE:ABT), as the company’s stock gained nearly 50%. The momentum continued in the first month of 2018 as well, as better than expected Q4’17 results triggered the stock movement. It appears that Abbott’s acquisitions of St Jude Medical and Alere, which were earlier seen as risky bets, are paying off. Does this mean that the stock can move further this year? Our base case analysis suggests that the potential certainly exists. 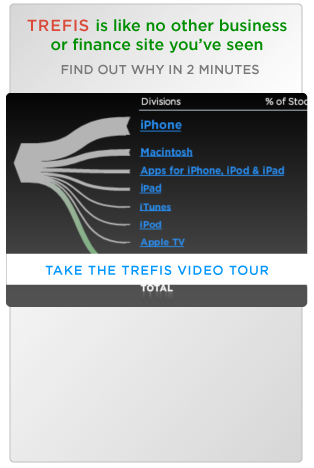 We have created an interactive valuation calculator dashboard using Trefis’ interactive technology where you can modify inputs such as P/E multiple and fundamentals determining Abbott’s 2018 earnings (non-GAAP net income). If you have a different view, you can create your own scenario and come up with your own price estimate for Abbott. Our base case gives a $70 price estimate for Abbott. We estimate that the company’s trailing 12 month P/E multiple will be around 22 at the end of 2018, which is the average of the figures for the last 5 years. We believe this is a reasonable assumption because Abbott’s P/E multiple has oscillated in a narrow range. We further estimate that Abbott’s earnings (non-GAAP net income) for 2018 will hit nearly $5.46 billion. While we continue to believe that growth in the Nutritionals segment will be quite low (although better than before), we see moderate growth in the Pharmaceuticals business as the company will continue to benefit from the demand in emerging markets such as India, China and Latin America. In addition, we expect a strong jump in Diagnostics revenue and consequently, earnings, due to the Alere acquisition. If you have a different view, go to our interactive valuation calculator dashboard and modify the assumptions (blue dots) to come up with your own price estimate for Abbott.